If you’re planning for a driving adventure across the country, it might be a good idea to hire a campervan. They’re spacious and usually self-sustaining, so it’s a great way of travelling and exploring from the comfort of your own little private space. 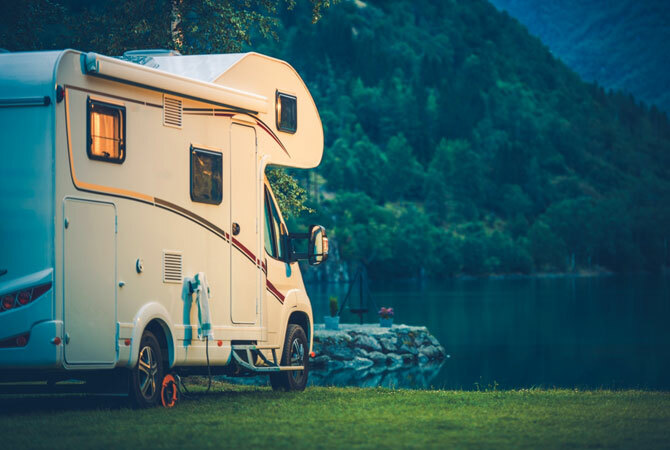 However, picking the right company and the right campervan can be quite tricky, so the Brisbane team here at Five Star Car Rentals has come up with a few tips and tricks on what to consider when hiring a campervan. Enjoy! Look around for the company that offers the best rates for the campervan of your choice. A little bit of research can save you a lot of money. But be careful, don’t be fooled by face prices, investigate further for hidden costs or add-ons you might have to pay. The amount of space you have inside your campervan is very important. Go for the size you need. There’s no need to pay extra for a huge campervan if you don’t need the extra space. The reverse is also true. So it is vital to consider the amount of space you want in your rented campervan. Make sure your rental campervan has facilities like included linens, toiletries, kitchen supplies, first aid kits, roadside assistance etc. A little bit of awareness can save you a lot of grief in the long run. Read the paperwork carefully for any additional hidden costs that your car hire company may be charging you. This might include fuel, insurance, tolls, etc. Now that you know what to consider when hiring a campervan, maybe it’s time for you to set off on your campervan adventure! If you are looking for the perfect campervan, don’t hesitate to contact Five Star Car Rentals. Our large fleet and helpful car hire savvy crew will be able to help you out with whatever you need!